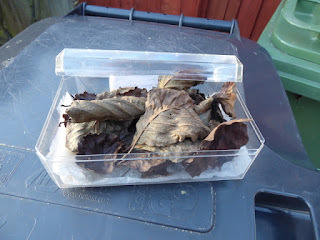 The various containers were all brought into the garage for a week in early February and the majority then moved again into a warm office mid-month. 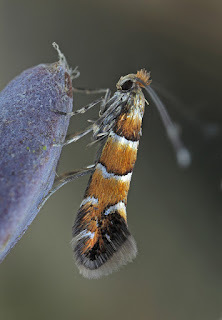 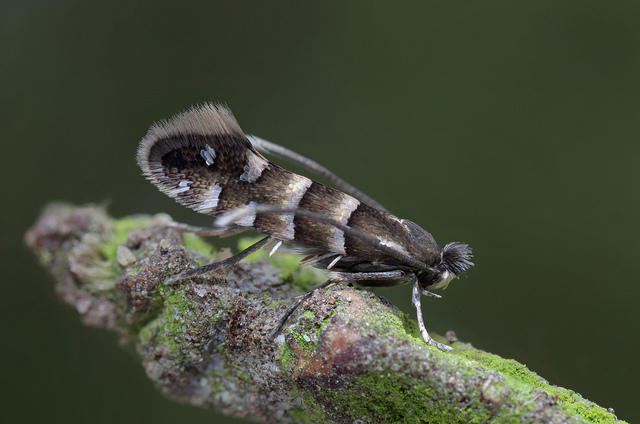 Two superb but visually quite different male Phyllonorycter rajellas (one below) emerged on 21st February. 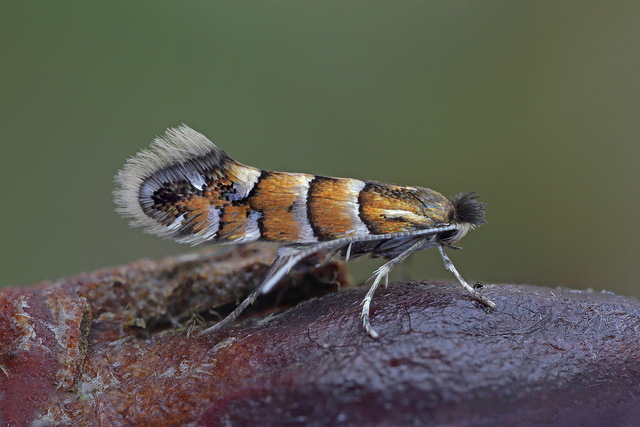 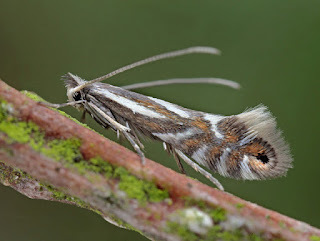 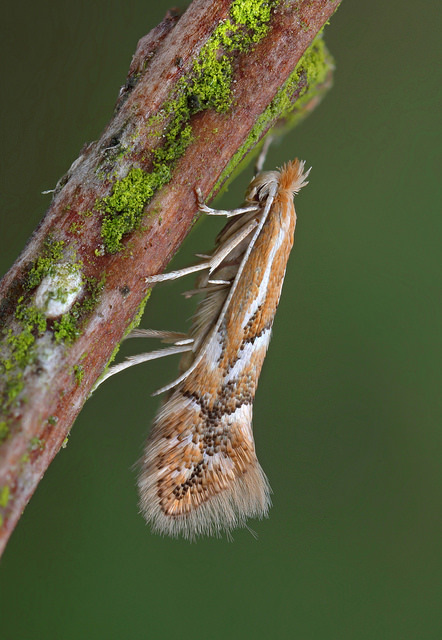 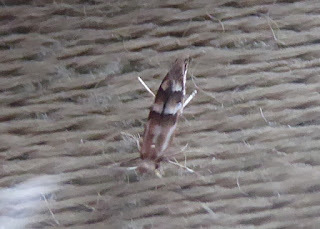 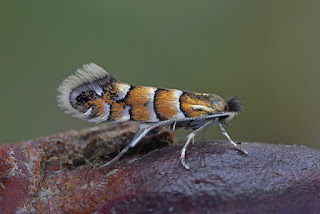 A Phyllonorycter dubitella followed from Sallow on 25th February (see below).